Motorized Robotic Bug Cat Toy can navigate around objects, find its way out of corners and flip over! Introducing the playfully energetic motorized Robotic bug Cat Toy! When turned on, this robot's realistic behavior will fool many cats and even some humans into thinking it's a real bug! The adventurous critter scampers and scurries around using vibration technology calling the attention of nearby cats. Our field testers watched this bug for hours! We love it because the vibration sound is not too loud. It sounds like a fly buzzing! We offer the motorized bug Cat toy in Green or Blue OR you can choose one with our famous Bugsy Katfly® Teaser Bug Fly for more fun! motorized Toy colors are Green or Blue. 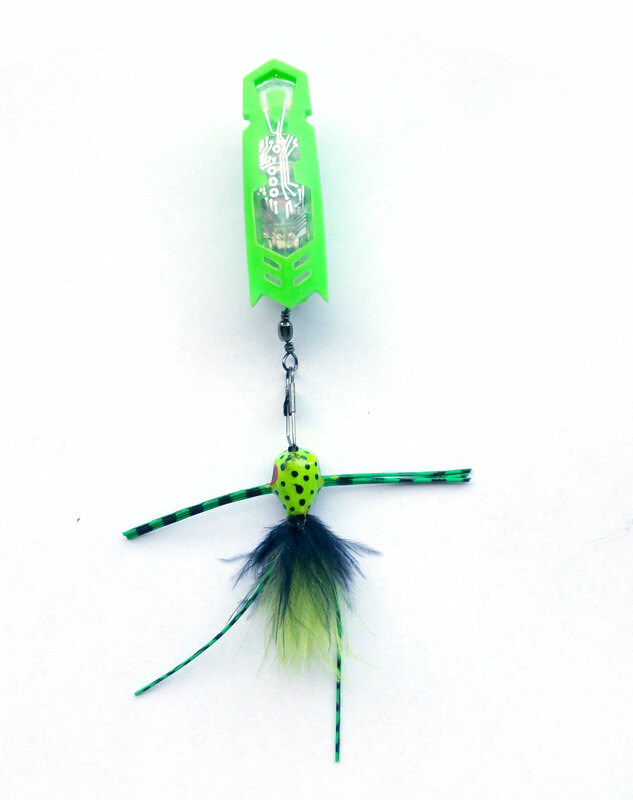 Bugsy KatFly® Teaser is green in color. Measures about 1.5 inches long, 1/2 inch high.